Introducing ThreatWiki 3.0 Warsaw: A big update for Sentinel Project’s genocide risk tracking platform! 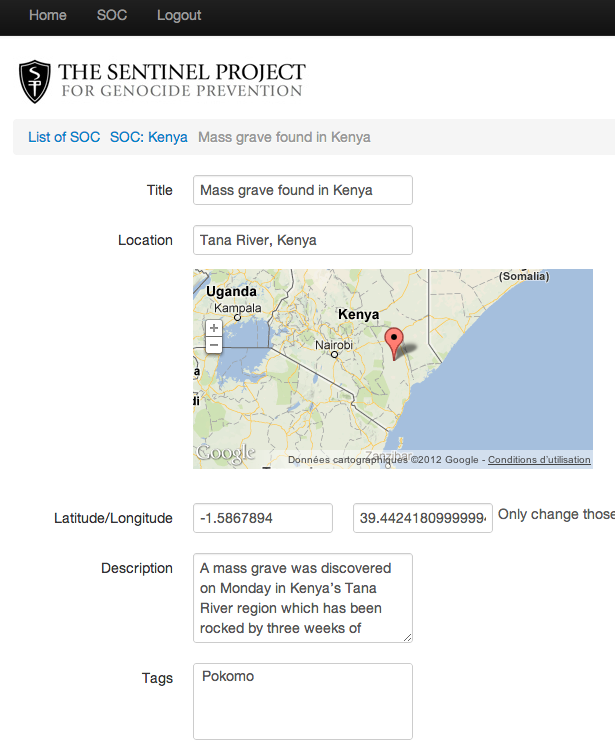 In 2011, Sentinel Project launched ThreatWiki – a genocide risk tracking and visualization platform to help monitor communities at risk of genocide around the world. We are proud to announce today a major update. ThreatWiki is a platform that helps the Sentinel Project Research Analysts to monitor key events that occur through the 6 situations of concern that we have identified so far. Using that data, analysts will be able to map the events across different regions, identify trends, and assess the risk of genocide more effectively. Although the tool is currently limited for use by Sentinel’s volunteers, ThreatWiki has been designed with the public in mind. The data that has been gathered by Sentinel’s analysts will eventually be featured on our public website, allowing any individual to view major threats that have been identified in each situation of concern. This introduces ThreatWiki 3.0: Warsaw, in honour of the uprisings that occurred in the city during World War II. Following the traditions of ThreatWiki 1.0 and 2.0, it was decided that each release of Threatwiki would be named according to locations with a historical human rights/social justice significance. Interested in becoming involved? The ICT team is currently looking for volunteers to continue the development of ThreatWiki and add new features that will help with the tracking, analysis and visualizations of the 6 situations of concern currently monitored by the Sentinel Project. If you are interested in developing your IT skills with cutting-edge technologies while volunteering for a great cause, contact us! The Sentinel Project wants to thank Jérôme Gagnon-Voyer & Abhishek Bhatnagar for their development work and Taneem Talukdar for his advising role.